Vodafone is to delay the expected June launch of its 4G superfast mobile internet service until August or September to coincide with Apple’s release of a compatible iPhone 5. Apple's current iPhone 5 works on EE's 4G network, but would not work on the frequencies Vodafone and O2 are planning to use, according to the Guardian. Network operators see the Apple’s device as a key product for their new networks because owners tend to be early adopters of new technology. Apple had been expected to introduce the iPhone 5S in June, but the launch date was pushed back because of manufacturing delays. The delay means that despite its £790m investment in 4G spectrum at a government auction in February, Vodafone’s 4G superfast mobile interne launch will be at least 10 months behind its rival EE. By this summer, 4G leader EE, which already serves more than 400,000 4G customers in 50 UK towns and cities, is expected to have doubled its 4G speed in 10 UK cities to around 80Mbps. Is Ofcom’s 4G decision good for users? But, in addition to coinciding with the release of a compatible iPhone, the delay will give Vodafone more time to ensure its network is “really ready”, the company said in a statement. In its annual financial results announcement, Vodafone set a target of building high-speed 4G networks capable of streaming videos to 40% of its network in its five biggest European markets by March 2014. Vodafone reported a 4.2% drop in sales to £44.4bn in its full-year results amid "tough economic conditions" in Europe. 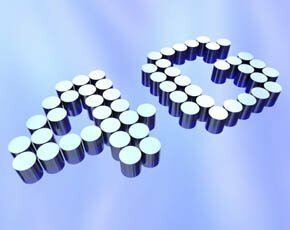 O2 has indicated it expects to launch its 4G service this summer at the earliest, while Three has said it is likely to wait until the end of the year. Meanwhile, Vodafone has pulled out of bidding to run a consumer 4G network for BT because the two are competing more directly, according to the Telegraph. As BT prepares to re-enter the mobile operator mass market, Vodafone is ramping up its business, delivering corporate fixed line networks after its acquisition of Cable and Wireless.